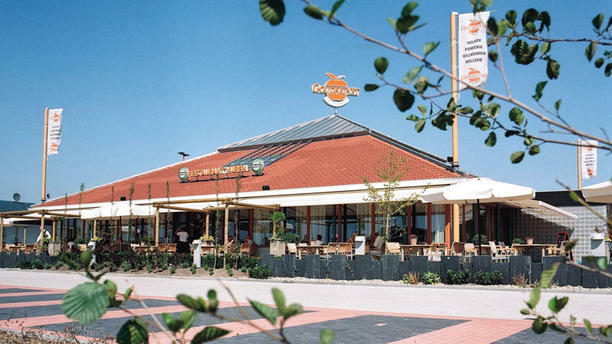 Restaurant Goudreinet in Vuren is easily accessible via the A15. A spacious venue with an intimate atmosphere and a varied menu. Come in for a decent breakfast, a fresh lunch or a delicious dinner. Seasonal vegetables are combined to taste and served beautifully made. Are you often on the road? Here you score a good, affordable meal in the daily changing buffet. Parking is no problem, there is plenty of room. Also on the large terrace by the way.